Now that Nikki has rescued Jack, all she wants is to be with him and graduate high school. But Cole tricked Nikki into feeding off him, and she’s begun the process of turning into an Everliving herself... Which means she must feed on a Forfeit soon, or die. Terrified for her survival, Nikki and Jack begin a desperate attempt to reverse the process using any means possible. Even Cole, who they expected to fight them at every turn, has become an unlikely ally, but how long can it last? Nikki needs to feed on Cole to survive, Cole needs Nikki to gain the throne in the Everneath, Jack needs Nikki because she is everything to him, and together, they must travel back to the Underworld to undo Nikki’s fate and make her mortal once more. But Cole isn’t the only one with plans for Nikki: the Queen has not forgotten Nikki’s treachery, and she wants her destroyed for good. Will Nikki be forced to spend eternity in the Underworld, or does she have what it takes to bring down the Everneath once and for all? Nikki is vowing to make the most of the time she has left on the surface, now that Cole has her heart and the slow transformation into Everling is taking place. But Nikki is in a transition period and her health is slowly dwindling. She no longer has a lifetime before needing to retreat to the Everneath, taking a forfeit with her to feed, she's needs Cole to survive, whether she likes it or not. Her only option is to take on the role of Queen, a position that Cole has been pushing her towards. But Nikki refuses and would rather go down fighting than to give into the boy that stole her heart. But when Cole goes missing, even boyfriend Jack realises how dire the situation is. Nikki is fading into Shadow and only a kiss from Cole can save her life. Sadly, Evertrue was disappointing. I was a fan of the series during the previous two books, but it felt as though the series accumulated to nothing. Nikki is slowly fading away and now needs Cole more than ever. But where the situation requires a certain amount of urgency to possibly save her life, Nikki and boyfriend Jack spend an awful amount of time repeating the same dialogue over and over, her refusing to take a forfeit into the Everneath to feed and Jack attempting to save her life, as long as it doesn't involve Cole saving the day through his kiss of life. Where Jack was a secondary character in the previous books, in Evertrue he takes front stage. But Jack's become increasingly aggressive, since being rescued from the Tunnels, his physical appearance is almost that of a grown man. He's taller, muscular and constantly seems to beat his chest in an attempt to assert himself. Cole was the only character that seemed to stay true to himself, until he's taken. The love triangle at one stage, becomes a love fest. Nikki is being shared between Cole keeping her alive, and Jack who threatens Cole with violence at any opportunity, even though he's Nikki's lifeline. Although the seriousness of the situation isn't lost on the reader, thankfully the storyline still has it's light moments with the infusion of witty one liners and Cole in his element. 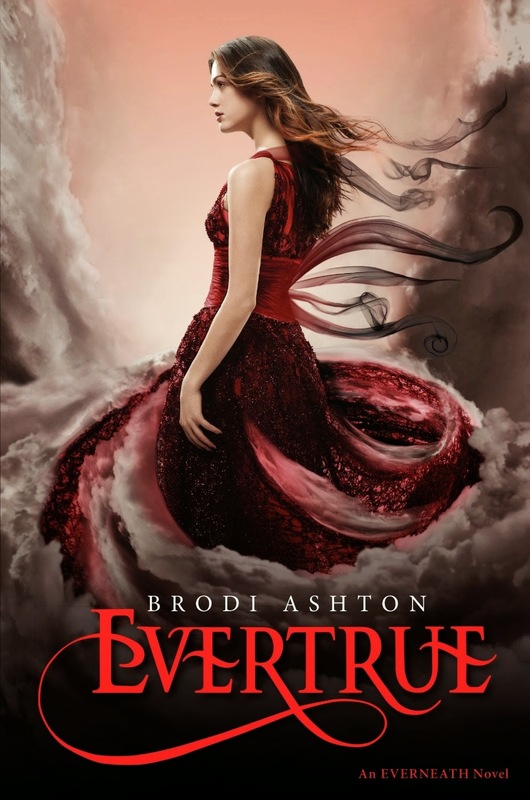 Everbound ending in a cliffhanger had promised that Evertrue should have been explosive, and in places it certainly delivered, but they were too few and far between. The storyline morphed from suspenseful and gritty into somewhat of a nauseating romance with holes in the storyline filled with mush. Fans of the series will read this regardless, it's a given that you'll need to know how the series is wrapped up. But going by the early reviews, it seems most readers share my disappointment. It was a mere few chapters of actual plot, stretched into three hundred plus pages of filler. Had to skim this one but sorry to hear that it was disappointing! I've read the same elsewhere as well. Such pretty covers though!! I was left a little disappointed after reading this too, totally agree.